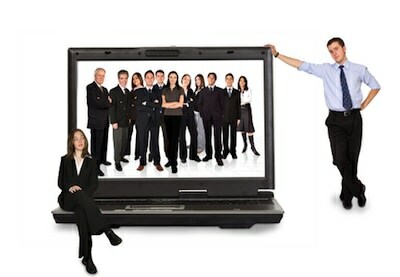 Are you managing remote staff? This tool is just for you! A well-known HR formula: 10% of your staff will work well, another 10% will be negligent towards their work, and the rest 80% will be efficient if managed properly. More and more businesses go global and utilize remote labor. Communication has become so easy and convenient with social networks, messengers and PM software. Tasks are delegated globally via Internet and payments are digitalized. Sounds great, right? Still, human factor is always there to make you wrinkle. How to manage employees in different parts of the world? Are you sure your employees are active in their working time? How much time do they actually spend on their operating tasks? Are they productive enough to meet the deadlines? No one wants to be fooled. It is a major concern of every employer to ensure every project is completed on time and the engaged employees are committed. However, the employer cannot – and shouldn’t – waste his/her time on questioning everyone involved in the project, especially in case of using remote staff. On the other hand, daily reporting will derive even more precious time from the employees – and besides, they may color the truth. So how to get the full picture without interrupting the work? The solution is InspectSystem – a cost-efficient and convenient online tool for employers to screen progress and commitment of their remote and office staff 24/7. How would InspectSystem help to manage remote employees? The service will automatically record the time employee starts working at his PC (clock-in), the time he finishes (clock-out), timeouts and actual working activity during the day. InspectSystem can also calculate hourly payroll based on employee’s active time, so you can pay for productive hours only. Since freelancers, and probably some employees, use their personal computers or laptops, they have an option to set up their personal accounts and toggle start/stop monitoring, with no worries on exposure of their private activity. In this case permissions to monitor the account are granted to the project owner/manager by the user himself. To start using InspectSystem, just register online or get permission from a registered user to monitor his personal account. Once InspectSystem client app is installed on the computer, it will instantly track employee’s working progress and send it to InspectSystem web server. You will just have to sign in to your web account to view and analyze collected data. Stop being worried about remote control and get InspectSystem today!